That’s the slogan of the Davey Awards. And with five winning entries in this year’s competition, Pipitone Group (PG) likes to think we embody that same principle. Now in the competition’s 12th year, the Davey Awards recognize the achievements of the “Creative David’s” who rely on the strength of big ideas and innovation. This year, PG earned three Gold Awards—the competition’s highest honor—to go along with a pair of Silver Awards to bring our 2016 total to a whopping 22 awards! 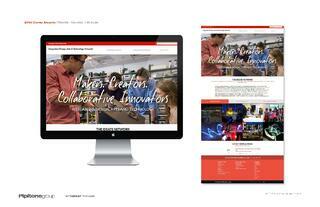 We designed, built and wrote this website to position the University as a leader in Interactive Design, Arts and Technology (IDeATe). We utilized small Mr. 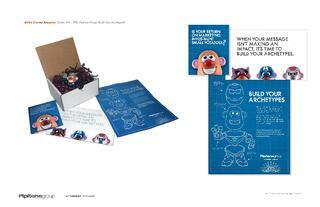 Potato Head figurines within a direct mail piece targeted at architectural building product manufacturers to generate client leads and build relationships within the industry. We assisted Kraft Heinz in launching its newest pickle flavors in more than 50 years. 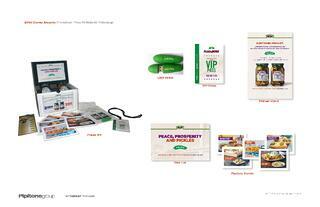 The custom media kit included samples of Heinz’s two newest pickle products (spicy garlic dill chips and sweet & spicy dill chips), a pickle-shaped USB drive with information, recipe cards and a VIP pass to Pittsburgh’s second annual Picklesburgh event. We promoted two of Butler Health System’s (BHS) key services—the BHS Heart Valve Clinic and Neurosurgery department—with two 30- and 60-second video spots used for television, digital advertising and a microsite. Awards were sanctioned and judged by the Academy of Interactive and Visual Arts (AIVA) on a ten-point scale, with Gold Awards earning a mark of 9.0 or higher, and Silver receiving a score of 7.0 to 8.9. PG is proud to have received such high marks from the AIVA, an invitation-only body composed of top-tier professionals from renowned media, advertising and marketing firms such as Disney, Microsoft, MTV, Yahoo! and many more.